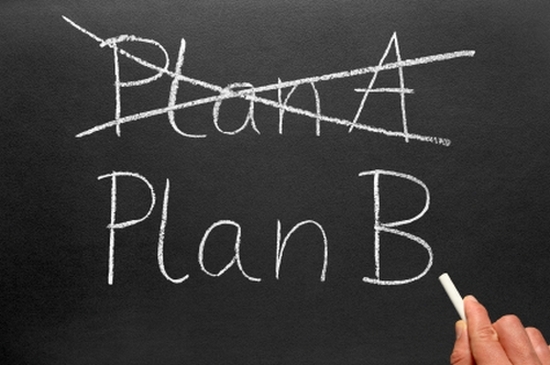 We have a saying here at EOE: Prepare for plan B, because plan A is a luxury and a myth. As event planners, we are perfectionists and last minute changes on event day can seem disastrous, but they always happen. Your job is to find a solution and quick. Event planners need to be prepared for plan B; but lets be real, we need plans all the way to the letter Z. What problems will arise on event day is truly unpredictable, but we can always be one step ahead of some to avoid disaster. Here are tips on how to prepare for the following issues. You’ve spent months planning for the event and everything looks great. Gift bags are set, the banquet room is decorated, and everything is ready to go, except for the forecast. Always make sure to talk to the venue manager about policies involving inclement weather well in advance. If your event is outside,have a backup plan so you don’t have to reschedule or cancel last minute. And just because you have tents ready to go, doesn’t mean you are completely covered. Be sure to include tape, binder clips, and zip ties in your supply kit. You may need to use them to hold the tents together or prevent water from seeping in through the cracks (lets just say we learned this one the hard way so you’ll be prepared at your next event). On event day, there can be last minute additions to the guest list and sometimes you are not aware until people are hounding you because they ran out of food. Make sure to tell the catering company or kitchen staff to have enough food for at least five extra guests. If all else fails, something to keep in mind is food trucks. We once had to chase down food trucks in NYC because we ran out of food at an event due to extra guest. To save you the hassle, keep a list of food trucks noted in your phone in case anything like this were to happen. We always bring a bag full of random supplies on event days because as we said, we like to be over-prepared. A laptop, printer, and laminator on site for any last minute jobs is a must. Yes, this may be excessive, but we have used it every time, so it will continue to tag along on event day. We also have post it notes, sharpies, pens, rubber bands, binder clips, a hot glue gun, paper, and anything else that can fit for event day. Need a team that does whatever it takes to ensure your event runs smoothly? Contact us today and lets get planning.